Storage. There never seems to be enough. But, what if better data management was available? The Media and Entertainment industry if facing an unrelenting data tsunami. Here, the digital transformation has been in full swing for quite some time, with the transition from tape-based workflows to file-based (and IP-based) workflows well under way. The increasing demands of higher resolutions of 4K and even 8K, higher bit depths, HDR, higher frame rates, and new technologies such as VR and AR all combine to create heavy demands on storage platforms. Couple that with today’s audiences expectation of on-demand, any device and any location viewing over a myriad of distribution formats. The result is an exploding amount of data to be ingested, processed, distributed, and archived. Data sets are getting so large that moving them around is becoming prohibitively expensive. Furthermore, resulting data gravity1 is impeding the worldwide team collaboration that has been the norm in creative circles. Object Storage, when deployed either as a private cloud (on premise) or within a public cloud, is a proven answer to this massive, multi-layer challenge. According to IABM’s 2017 End-User Survey, 93% of respondents are likely to deploy cloud technology in the near future, or have already deployed it. With these storage demands, many M&E companies are embracing Object and cloud storage, and making plans to retool their workflows accordingly. The goals include both gaining a competitive edge and increasingly to stay relevant. 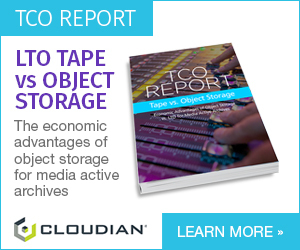 Content producers and distributors place unique and challenging demands on storage. Each user requires a cost effective, reliable, and flexible solution that can perform at scale. Scality RING can provide high-bandwidth throughout for media applications ranging from post production to distribution, all while providing proper content management and archiving. Scality RING demonstration, NAB 2018. RING is a high-performance software-defined storage solution that is ideal for staging and serving massive volumes of media content. It enables M&E companies to build 100% available, petabyte-scale storage infrastructures using industry-standard servers at a fraction of the cost of traditional storage. And, with a rich set of file and object interfaces the platform enables easy integration with media applications. While on-premises storage provides optimum control, performance and security, public cloud offers some key advantages that companies of all sizes can leverage. Many production and distribution applications permit combining the control and cost efficiency delivered by private cloud for their core sustained workloads, with the flexibility, agility and rapid spin-up of public cloud when needed for excessive workloads. While data workflow integration into public clouds is a trend seen across many verticals such as financial, manufacturing, and biosciences, it is especially critical in the M&E industry where companies are still formulating their exact requirements for cloud media workflows. One common theme is the desire of multi-cloud support, which provides a certain degree of freedom and control to help avoid being trapped in any one cloud provider. Scality’s Zenko Multi-Cloud Data Controller provides freedom and control using a unified interface that works across multiple clouds. Zenko features powerful capabilities such as policy-based data management for lifecycle and replication, and federated search, using the S3 protocol as well as legacy applications using NFS and SMB protocols. Zenko decouples metadata from the underlying location where data is stored, be it public or private cloud. This permits easy data search and retrieval across any number of clouds, while preserving native storage formats. This helps ensure compatibility with existing clouds apps and services. The solution also provides the freedom to manage data sets across major public clouds. Support is currently provided for Amazon’s AWS S3, Microsoft Azure, Google Cloud Platform, Digital Ocean Spaces, Wasabi) and private clouds using Scality object storage or local S3 bucket with a single endpoint and S3 API. The controller also lets users replicate data across all these backends based on predefined policies, and do metadata search across all of them. The data managed is not mangled in any way and remains accessible natively, providing a single namespace across all of the owner’s public and private cloud backends. It also comes with a web management UI that streamlines configuration and reporting tasks. When it comes to M&E storage, scale matters, availability and efficiency matter, accessibility matters and agility matters. Scality object storage meets these needs while improving performance and flexibility, while reducing cost. 1 Data gravity is an analogy of the nature of data and its ability to attract additional applications and services. 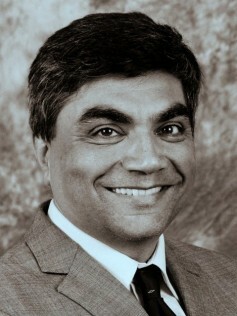 Author: Maziar Tamadon, Senior Product Marketing Manager, Scality.